The two-year M.A. in Film Studies program offers students a comprehensive study of the moving image with an emphasis on exploring screen aesthetics through critical, historical and theoretical contexts. In the first year, students take courses that establish the key academic methods in the fields of film and media studies, with the opportunity to personalize their degree with a choice of electives. In the second year, students work with faculty and a self-selected adviser to write their masters thesis. At the end of the M.A. program, students present an oral defense of their thesis. The M.A. in Film Studies is unique as it is a research based master’s degree where students develop an original thesis with strong support from faculty. Faculty research interests include, film and television theory, women in film, American cinema, Asian cinema, media historiography, film archiving and preservation, psychoanalysis and cinema, and new media studies. Graduates of the program have found employment in a wide field including teaching positions, enrollment in PhD programs, film critics, film festivals and web and marketing areas. Students have the opportunity to apply for conference funding, teaching assistant positions and research support, all of which can be connected to the workshop of their M.A. thesis dissertation. Complete 36 credits at the 500 or 600 level. Pass an oral defense of the thesis project. Dr. Kelli Fuery - Areas of Research Interest: film and media theory, psychoanalysis (classical and contemporary) and film, gender and sexuality studies, cultural memory, and creative industries. 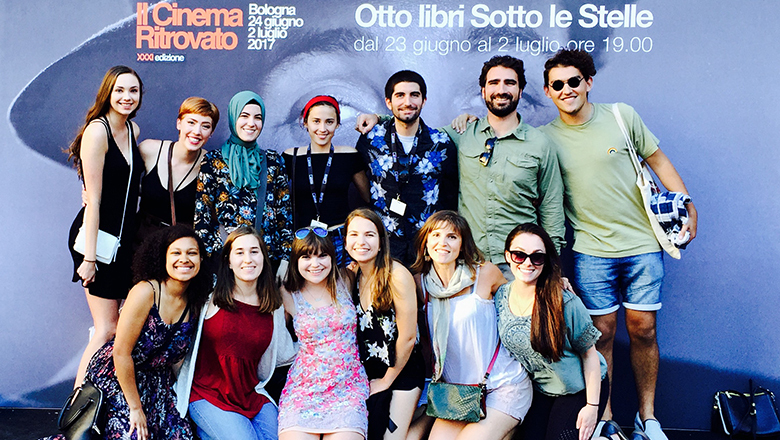 Our film studies alumni work as professors, film critics, festival programmers, Ph.D. candidates. Students are actively encouraged to apply to a wide range of internships at these well-known institutions, incorporating their work into their classes. In order to apply to the Film Studies graduate program, you must submit the required application materials, as well as a Creative Supplement.